Our home with Sunset Reflections is pet-friendly. Which would be great if we had a dog. We do not. These are not my dogs. But they are so cute I had to include them. 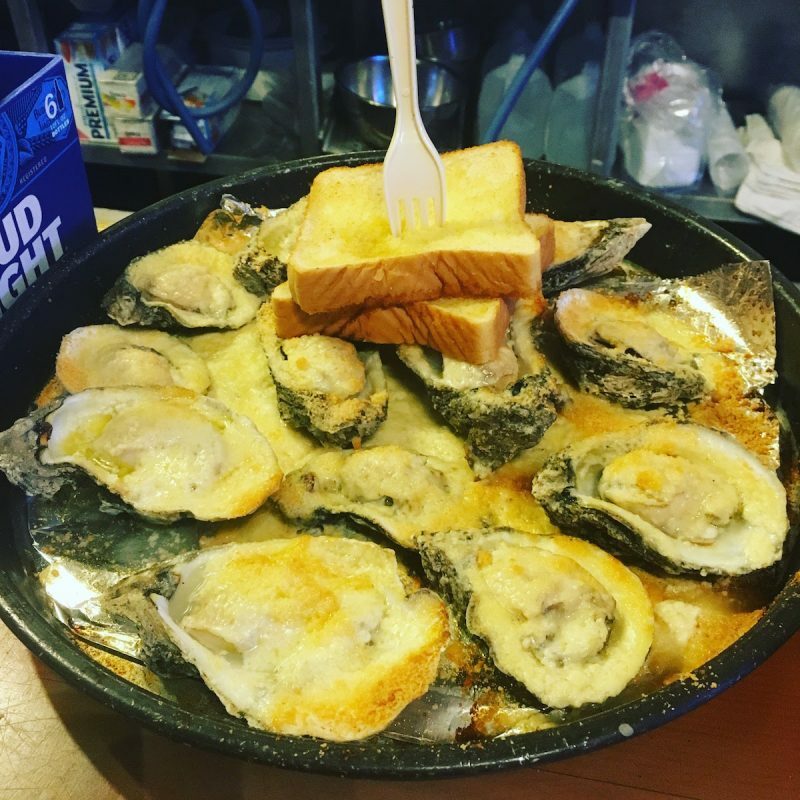 “I gotta go get more of those oysters,” my husband claimed one morning, despite it having been only about 12 hours since he’d happily downed his last two dozen. 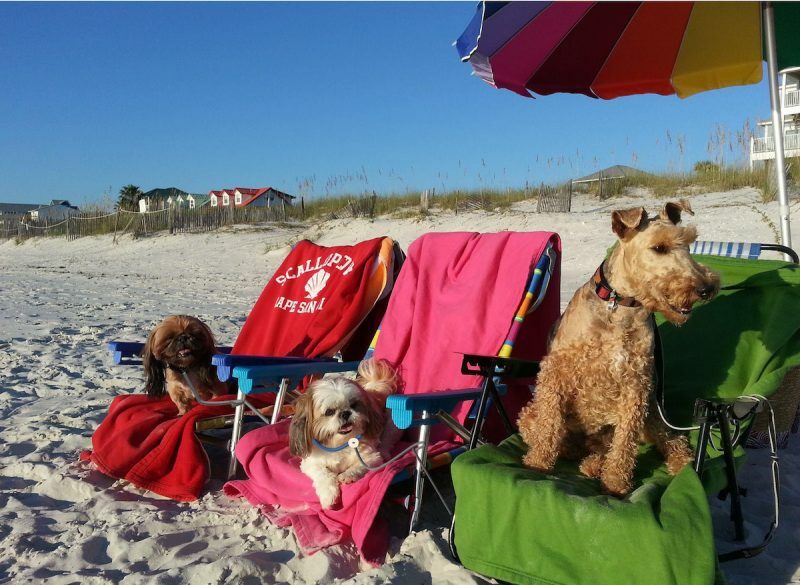 We were on a short jaunt to Cape San Blas, Florida. We had no agenda, no plans, no guidebooks and no goals other than to relax, stare at the water, eat shrimp and enjoy a few adult beverages. We met all our goals and more. 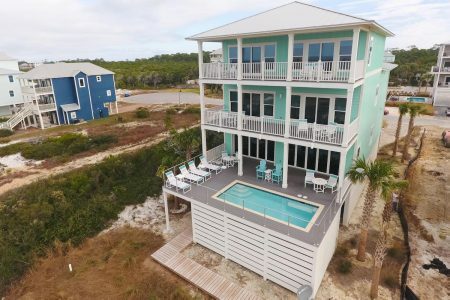 Cape San Blas is on what has been labeled Florida’s Forgotten Coast, a part of the Panhandle characterized by impossibly white sand beaches, oyster and shrimp production and miles of undeveloped land. It forms a long, narrow peninsula with views of the Gulf of Mexico on one side and St. Joseph Bay on the other. At some points, it seemed you could easily toss a shrimp from one side to the other. About a 5.5.- hour drive from Atlanta, it’s an easy long weekend destination. But you’ll want to stay longer. Here’s our recommendations on where to stay, what to do, and where to find those irresistible (to him) oysters. Our (temporary) home on Cape San Blas. Isn’t this pool magnificent? We loved having coffee on the top balcony outside our bedroom. As a lifelong clothes-ist, I am mystified how I got on the mailing lists for nudist getaways. While I’m intrigued by the idea of a no-pack vacation as I have never mastered the art of packing (great for a travel writer, right?!) I still prefer to indulge in activities with clothes on. So when I first heard of the company Sunset Reflections at Natural Retreats, I quickly checked the website for the words “clothing optional.” Instead I found an easy-to-search site for homes to rent. I liked that you could search the 59 homes listed by “Pet-friendly vacations” and “Private pool vacations.” I also loved looking at the search by name section, enjoying seeing names like Sandy Butts and Tupelo Honey, one of my favorite Van Morrison songs. Sunset Reflections is a local company affiliated with Natural Retreats, which includes properties around the U.S. and in the U.K. One thing that distinguishes this company from others is its Xplore Team of travel guides. 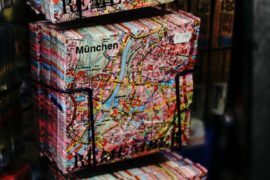 They have visited these destinations and provide firsthand knowledge. We got a phone call and an email from our guide, offering to answer any questions and providing a full list of activities, restaurants and places of interest. Check-in couldn’t have been easier. 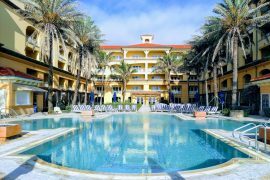 I got an email with check-in time and key code – no out-of-the-way rental offices to visit or hidden keys to track down. Our private pool, where drinks and snacks were just steps away. Another big plus with Sunset Reflections is a deal they have with VayK Gear for the rental of $250 of beach gear for free. I got an email with all the items available, and selected a kayak, bike, beach chairs and umbrella for our stay, all included in that budget. They were in the garage when we arrived at the home, and picked up at the end of our stay, saving us a lot of time and aggravation. 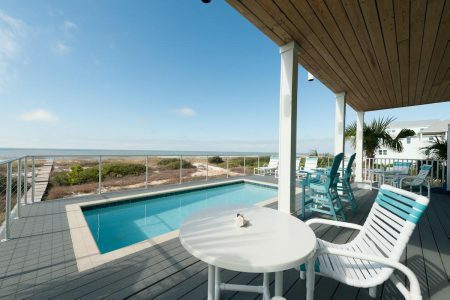 Our house, Cape Conchs, was spectacular, beautifully decorated, and the pool right outside the main level was perfect. The beach was just a short walk down the boardwalk, and there was even firewood at the end if we had wanted to enjoy a fire on the beach. Travel Tip: Book a stay at Sunset Reflections by Natural Retreats by the end of May and save 20%. If more modest accommodations are in your budget, try camping or staying in a cabin in St. Joseph Peninsula State Park. The park has seven cabins that can accommodate up to six people and overlook St. Joseph Bay. 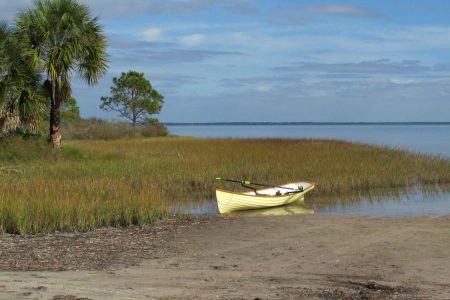 A boat in the marsh at St. Joseph Peninsula State Park. Other than go on a bike ride and relax, our plans were few. Sadly, one day we had to spend working, but at least we had a spectacular view with a pool and ocean just steps away when it was gin and tonic time. One of the highlights of our stay was leisurely sipping our coffee one morning on the balcony outside our bedroom. One morning we took the bikes out to start exploring the island on the new bike trail, ending up at the end of the peninsula in St. Joseph Peninsula State Park, knowing absolutely nothing about it. After paying our $2 fee, we were soon instructed that should we encounter any armadillos or alligators we were to share the road with them. I had no plans to share – if I saw a gator, they could have the road all to themselves. We biked through the 2,500-acre property enjoying the trees, sand and underbrush of “Old Florida,” without the high-rises, souvenir shops and huge resorts. The park has a playground, beach, boat ramp, nature trails, tubing, kayaking, camping and plenty more. After exploring a few areas of the massive park, we headed back as the pool and beach awaited. Sadly, high winds during our stay prevented us from taking the kayaks out in the water, but we did use our rental chairs and beach umbrella one afternoon. 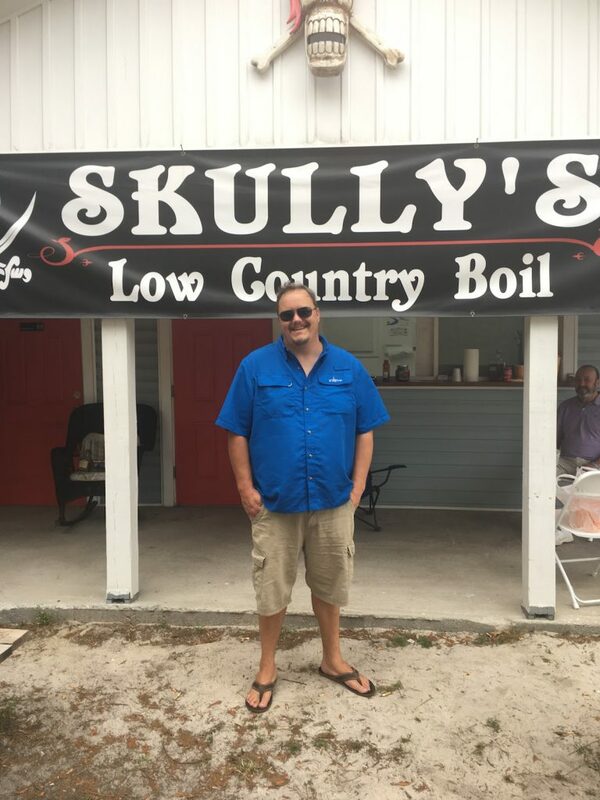 Skully’s Low Country Boil was right across from the area where we were staying. Owner Paul sings for you and cooks your supper. Other activities include bird watching (125 species of birds on the island! ), snorkeling tours, sail boat charters and horseback riding. Sunset Reflections just launched the Xplorie Program, which includes a free activity with your rental as part of a partnership with horseback riding and fishing guides and the St. Joseph’s Bay Country Club for golf. If you care to venture off the island, the small town of Port St. Joe is a short distance away, home to a stellar Piggly Wiggly. (I still regret not buying the ginger lemongrass Triscuits, the flavor of which I can’t even begin to imagine.) The cute southern town of Apalachicola has shops, art galleries, a walking tour and plenty of restaurants. Our house and view were so beautiful, we opted to eat in most nights. Very little cooking was involved despite having an amazing fully equipped kitchen. (I may have let out a yelp of excitement when we spotted the plastic martini glasses.) A great option for take-out was Skully’s Low Country Boil right across the street. 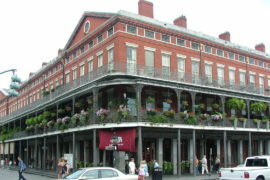 This small restaurant is open 4:00 to 8:00 and features only a few things: Low Country boil, steamed shrimp and gumbo. We went early to get take-out and chatted with the owner/chef Paul, who told us he only wanted to sell a few things, so if someone didn’t show up, he could handle it all himself. And he did. In addition to cooking, he played us an Allman Brothers song on his guitar. Drinks are free, and include beer, soft drinks and water. The Low Country boil was delicious, and would be a perfect option for a big crowd as well. A dozen of the cheese and garlic covered oysters at Indian Pass Raw Bar. Heaven on a plate to my husband. As for those oysters? They came from Indian Pass Raw Bar just a few miles away. We sat at the bar and my husband ordered one dozen oysters raw and one dozen smothered in garlic, parmesan and butter. While he downed those, I dug into crab-stuffed shrimp and corn on the cob. 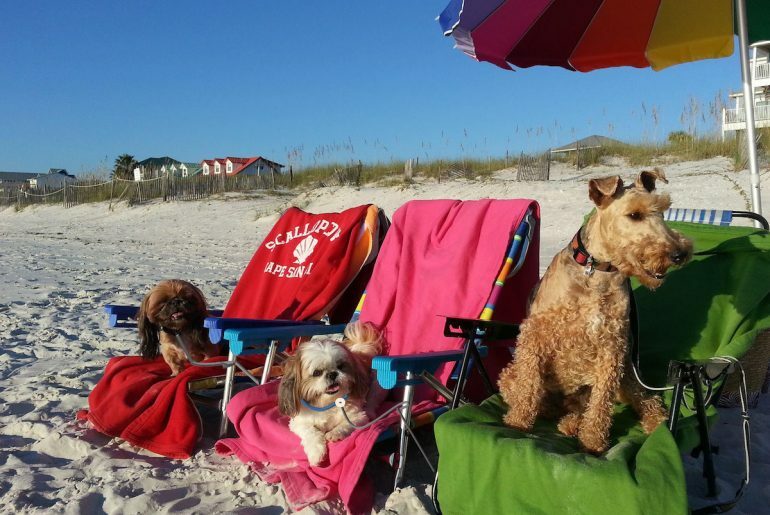 We loved Cape San Blas for its laid-back vibe, lack of commercialism and fresh seafood. The combination of Sunset Reflections and VayK Beach Gear made the trip even easier. Thanks so much, Joanne! It is so beautiful there.